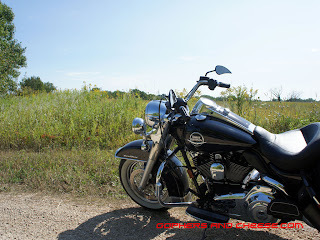 I took yesterday off and spent about 9 hours on my Road King covering nearly 350 miles and hitting some roads I've never ridden before. 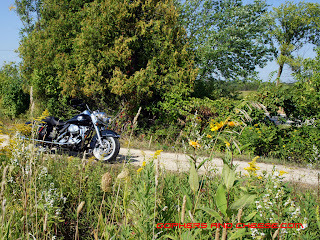 Before leaving, I decided to use motorcycleroads.com to find some new places to ride and I printed off some maps. I got on the road about 8:30am and the morning commute traffic was still heavy so I jumped off the interstate and stopped at Bob's Java Hut for a light breakfast. 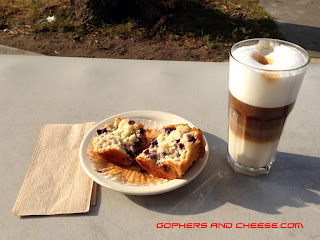 The blueberry muffin and gigantic glass of cappuccino were excellent. 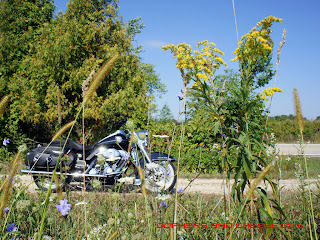 On with the photos! 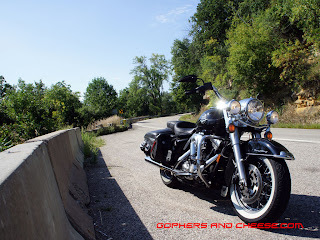 Here are some shots from a little spot I found along MN-60. 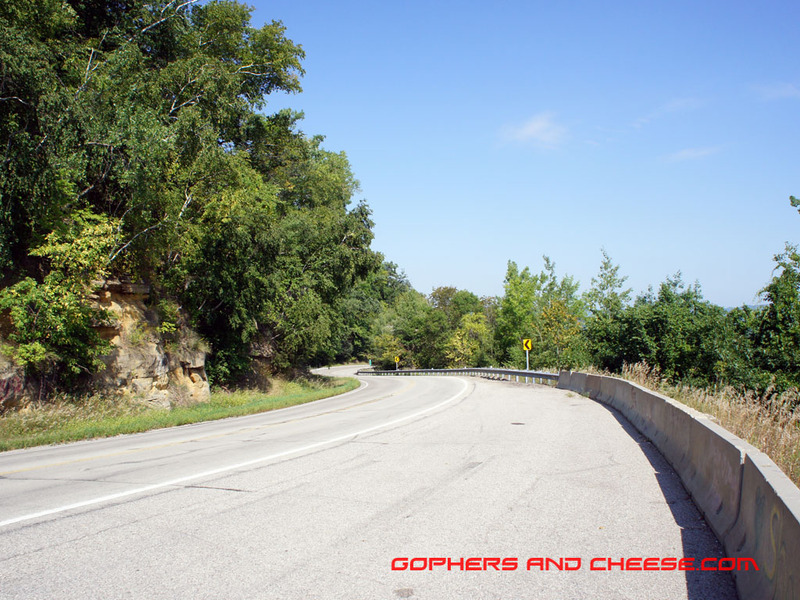 MN-60 starts off a little slow with subtle hills and nice landscapes. The road continues to get better and better as you pass Zumbro Falls. Hills, curves, and beautiful farm-filled landscapes are what you can expect. I definitely recommend it. 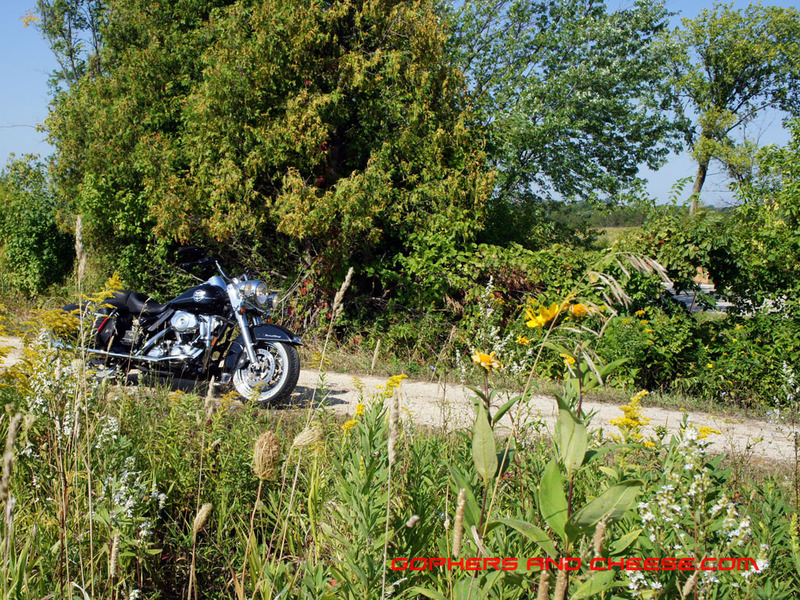 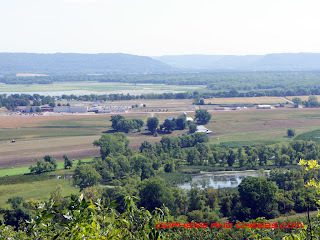 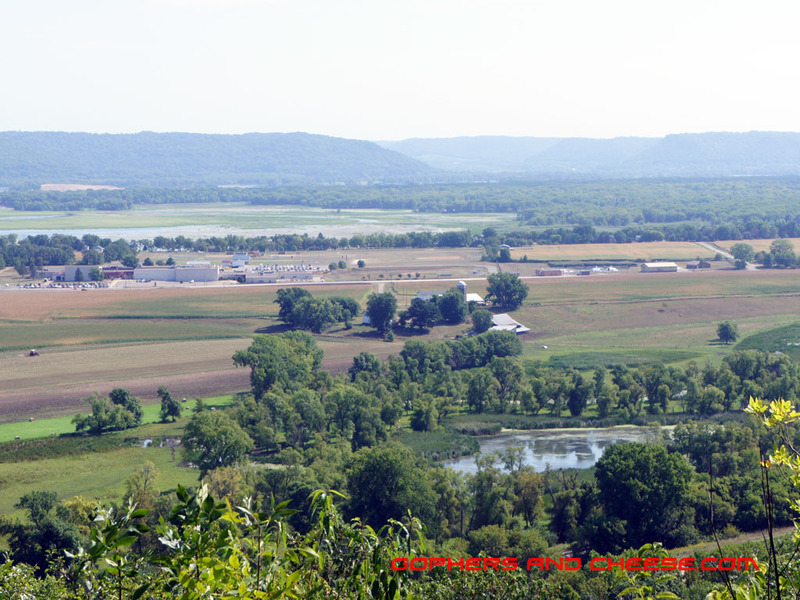 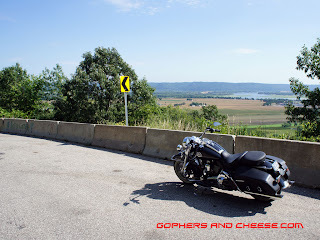 Just before you reach Wabasha, you get treated so some great curves and this panoramic view.